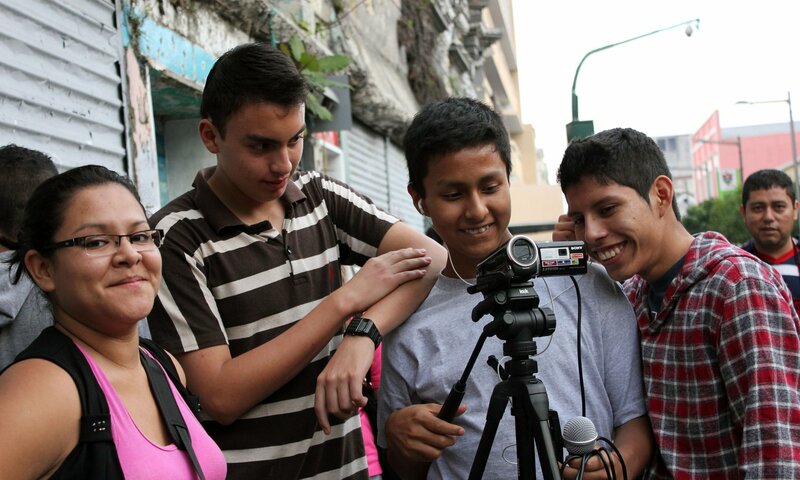 Young people make their own film clips on the dilemmas that arise within their communities. Under the guidance of professional educators, they write their own scripts, conduct research and interview people on the street. The films serve as a point of departure for a debate on Human Rights. Free2choose-Create is an educational programme that can be used in combination with Free2choose. In the Free2choose debate programme, young people learn about their own fundamental rights and discuss these rights after watching film clips. In Free2choose-Create, young people make their own films about the issues at play within their own communities. These film clips are basically mini documentaries; they serve as a starting point for a debate on human rights. The starting point for Free2choose-Create is that young people, given supervision and guidance, can take an active role in the creation and educational implementation of short educational films focusing on human rights dilemmas. The approach borrows from key insights derived from peer education methodologies. A special Free2choose-Create 2-4 day workshop introduces (young) people to human rights, their history, contemporary importance and their relevance for the lives of young people today. After reflection on these issues, the participants work with professional human rights educators and filmmakers to identify human rights violations and dilemmas in their own communities. They subsequently, in small groups, write their own scripts for a short 3-5 minute film that can be used for educational purposes.The final part of the workshop involves the participants conducting research and film interviews that lead to a final product – a film with a clear human rights dilemma - on the last day. For more information about Free2choose-Create find our local partner in Worldwide activities.